Thiruvangad Sree Rama Swamy Temple, located at Thalassery in Kannur is one of the few temples dedicated to Lord Rama in Kerala. Vishu Mahotsavam, held in the Malayalam month of Medam (Mid April), is the main festival celebrated here. 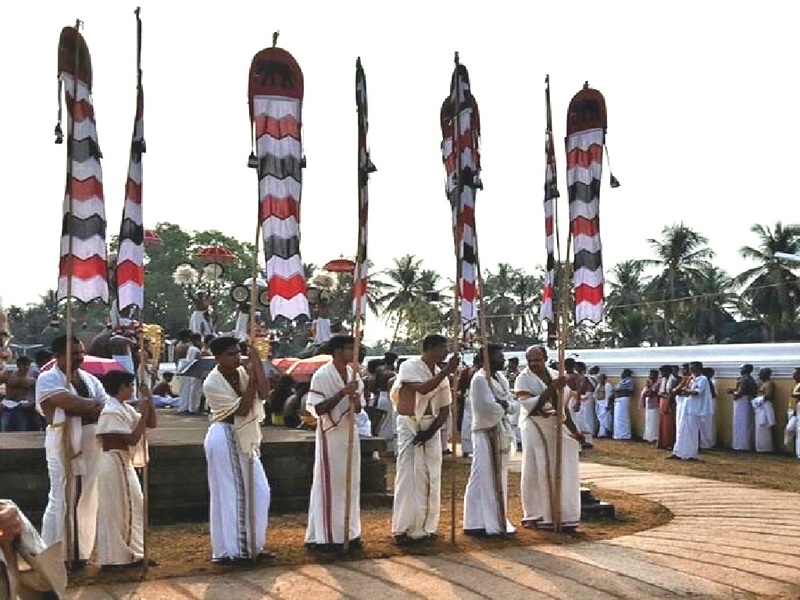 This seven days annual festival starts with Kodiyettam or the hoisting of the ceremonial flag on 1st of Medam. The festival ends with arattu (holy bath) of the deity in the temple pond. 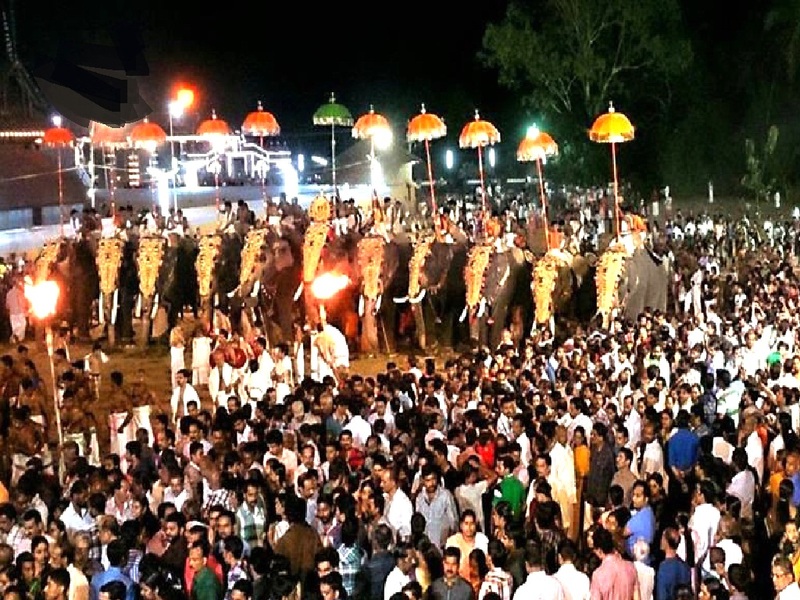 During festival evenings, the idol of Lord Rama is taken on elephant back for the ezhunnallathu (procession). After the procession, the idol is kept in the Kazhakappura inside the temple premises. On the last two days of the festival, a special ceremony called Mothiram Vechu Thozhal, an offering by placing a gold ring on a piece of banana leaf, is held. In addition to the rituals, Kathakali, Chakyarkoothu, and other artforms are performed on all days. 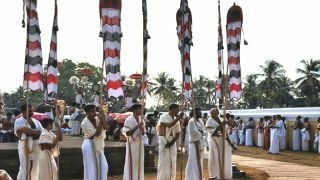 It is said that, Chakyarkoothu, one of the classical art form of Kerala, is performed in this temple as a part of rituals and the Mani Chakyar family traditionally holds the right to perform it. 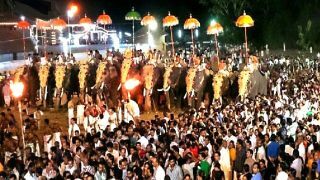 The temple also celebrates, ‘Pattathanam’, an important function celebrated on the Thiruvonam asterism in the Malayalam month of Makaram (January-February).